One of the best surfing experiences available in Andalucia Spain can be found with Oceano Surf Camps on a residential Surfing Holiday in Conil de la Frontera. Conil de la Frontera is a traditional White Washed village on the Costa de la Luz (Coast of Light) with some of the best surfing beaches in South Spain. 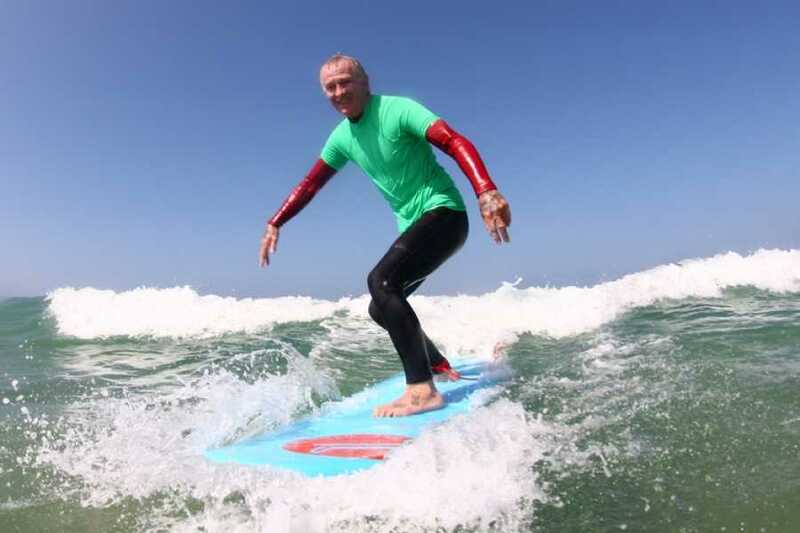 Surfing in Andalusia Spain is always a great experience with a good climate, a variety of surfing conditions and waves for beginners and intermediate surfers. 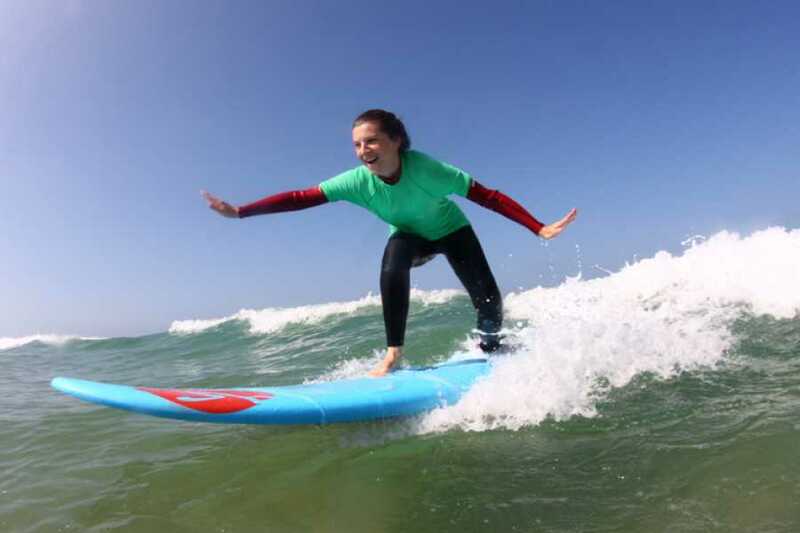 The surfing lessons take place in and around the beaches of Conil de la Frontera. 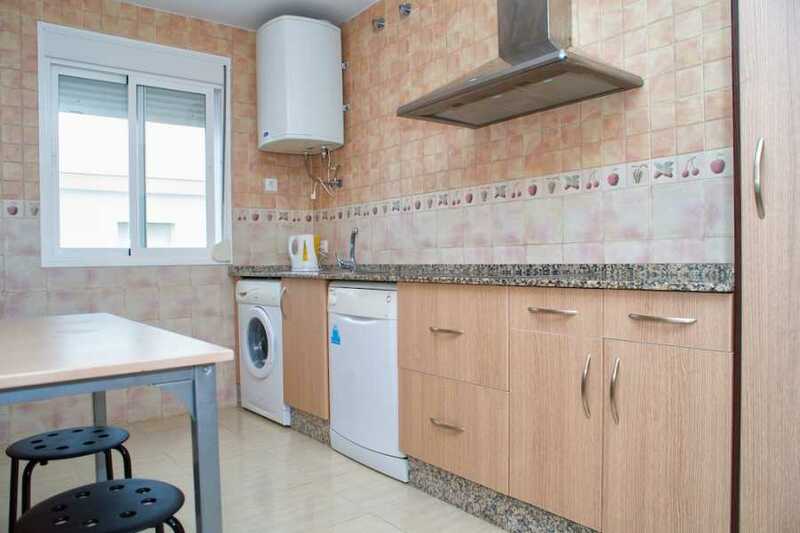 Conil de la Frontera has a variety of surfing beaches that have ideal learn to surf conditions with immense sandy beaches that stretch out for Kilometers and kilometers. stop (which is 2km ́s outside the town centre.) 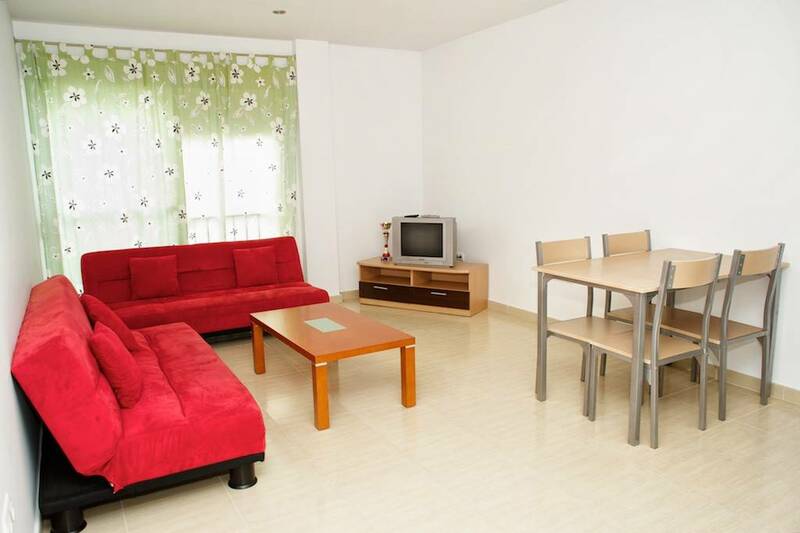 From here you will be taken back to your accommodation to check in. available activities during the week. Locations of all important landmarks and all questions answered. 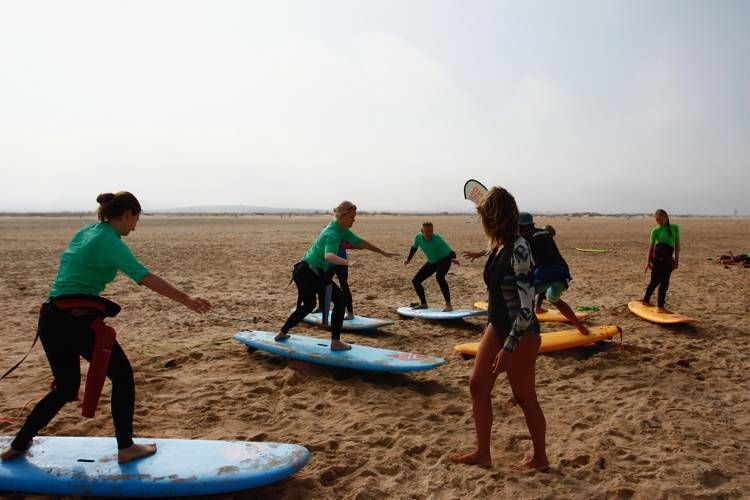 After a typical Andalusian breakfast at one of the many bars surrounding the accommodation make your way down to the designated Surf beach where the morning surfing lessons will be held. After signing the booking form, size up for a wetsuit and then Yoga for surfing. • Learn prone position and how to catch waves in prone position. Wade out into waist depth water (where you feet can touch the ground at all times) Catch waves into the beach lying down (prone position). • Once you can do this then come out of the water and learn three different techniques for how to stand up. 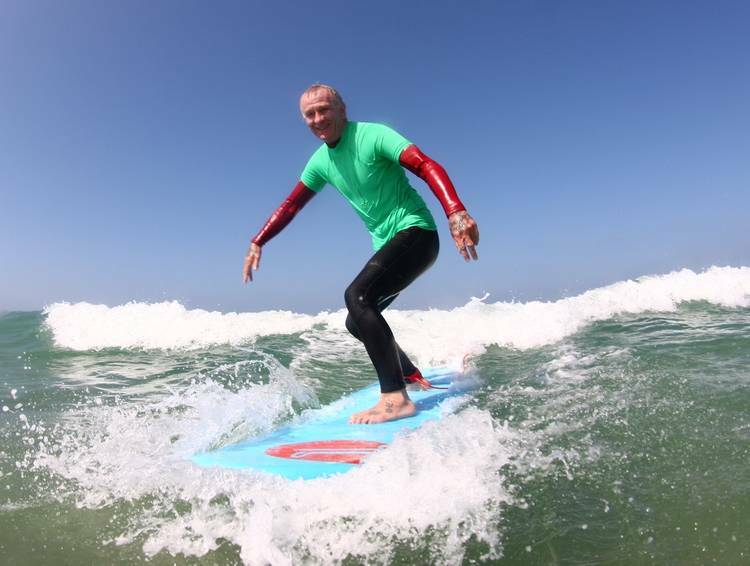 • Finish the lesson off catching waves in prone then trying to stand up in the white water. Break for lunch. Back in the afternoon for free surf practice sessions without your surfing instructor. • Breakfast then down to the beach. • Yoga for Surfing. • Learn how to paddle. • Learn your pop-up choice and practice on beach with feedback from instructor. • Stance refinement. • How to dismount from the surf board. • Breakfast then down to the beach. • Yoga for Surfing. • Catching waves out of depth (depending on the surf conditions). Breakfast then down to the beach. Yoga For Surfing. • Theory on surf etiquette, rules and regulations. Play out realistic scenarios on the beach. • Take off frontside backside. • Introduction to trimming the board in green waves • -Introduction to the bottom turn. • Introduction to Ocean Safety and beach life guarding techniques. • Explanation of beach environment, surfboard rescues etc. • Understanding surf and weather conditions and how they affect your surf experience. 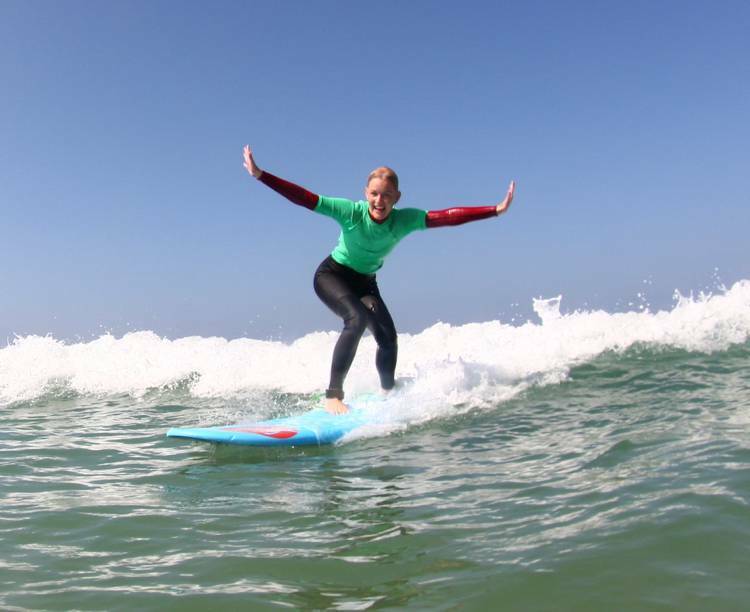 • Free surfing with Instructor feedback during the lesson. This is your last day and check out from the surf camp accommodation is at 12.00pm.